You're wondering if you should try using macro photography extension tubes. You bet! Macro lens makers may not be thrilled about you using them. They're very affordable and simple to handle. You don't need to spend money on an expensive dedicated macro lens. Extension tubes are a thrifty way to let you dive into macro photography and get great images. Here's the kicker. You can get them to fit the camera you already own. 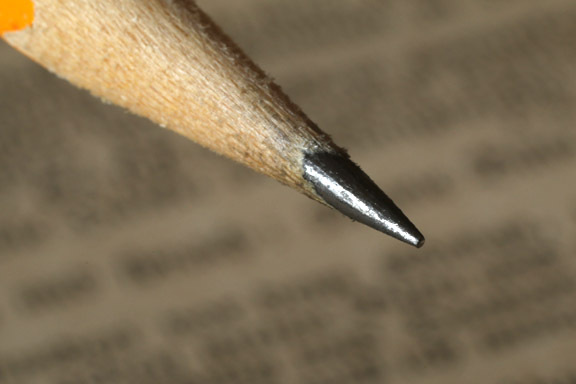 Extension tubes are my favorite accessory for doing close-up photography. Whether it's indoor studio shooting with controlled lighting or outside in the natural world with existing lighting, I use extension tubes more than any other macro optical system. These tubes come in several lengths, and you can combine them in many different ways. Usually in sets of three, they often come in lengths such as 12mm, 20, and 36mm. 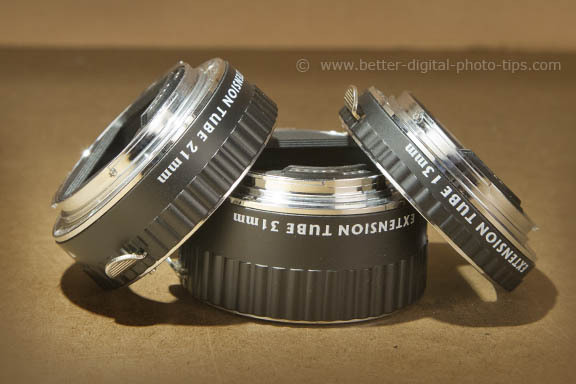 With a set like this you can combine them and extend your lens by 12mm, 20mm, 32mm, 36mm, 48mm, or 56mm. With all three stacked you can get 68mm of extension between the lens and camera body. Extension tubes are one of the easiest macro photo accessories to use. The macro set-up pictured above is a set of macro extension tubes made by Opteka, placed in between a Canon 85mm f1.8 and a Canon 20D. 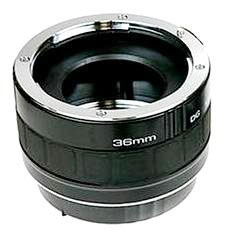 The possible combinations for lens extension with these extension tubes is 13mm, 21mm, 31mm, 34mm, 52mm, and 65mm. Provided you get the right ones, no breakdown in communication between the lens and the camera. You can use them with several different lenses that you already heavy in your collection. Loss of light due to added distance from lens to digital camera sensor. Inconvenient to keep switching tubes to get the right magnification. Limited depth of field. This is true for all macro photography. Use manual focus. Even though a good set of extension tubes will maintain the auto-focusing function with your lens, it is advisable to not use auto-focus. You will want to control of the exact focus point because your depth of field is so shallow when you focus your lens on closeby objects. When attaching or removing your lens be extremely careful to grab the lens barrel and not the focusing ring or you will damage your lens. Don't forget the importance of lighting, and a few good composition rules like using diagonals, creating balance and the rule of thirds in photography. Here is a Macro Photography Gallery from a one-hour photo shoot, using only extension tubes and 85mm prime lens. The only other camera accessories I used were a tripod and a cable release. 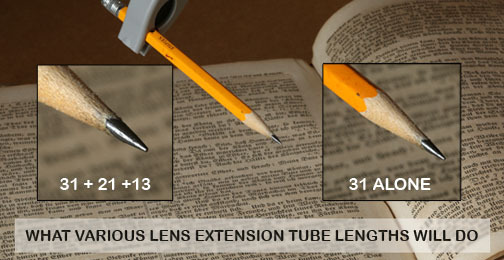 This is an extension tube length comparison done with a set of extension tubes including 13mm, 21mm, and 31mm lengths. Extension tubes are a popular substitute for pricey dedicated macro lenses and can be used in conjunction with the lenses you already have. 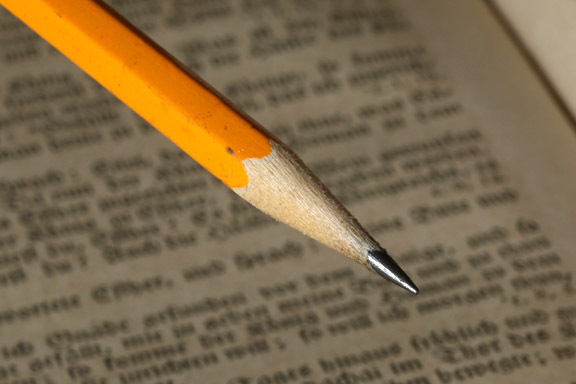 The photo below shows a pencil photographed at the minimum focusing distance with a Canon 85mm lens. All photographs were shot at f/18, aperture priority, using the same lens on a Canon EOS 70D. 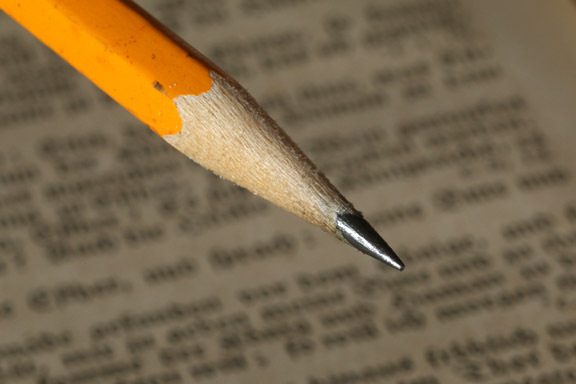 The pencil is being held by one of my favorite macro accessories, the Wimberly Plamp II. Shot at closest focusing distance with just an 85mm lens. 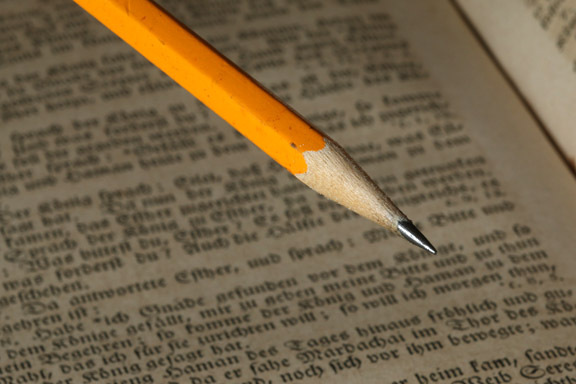 Compare this photo with the one below where a single, small (13mm) extension tube was used to take the photo of the same pencil. The photo below was taken with a single 21mm extension tube to shorten the minimum focusing distance to an even further extent. The largest extension tube in the three member set is 31mm long. Here the focusing distance is getting really short and can get you in really close to your subject. What happens when you combine all 3 of your macro photography extension tubes into essentially one long tube that is 64mm in length? Check it out. There is no loss in image quality when using extension tubes for your macro photography. 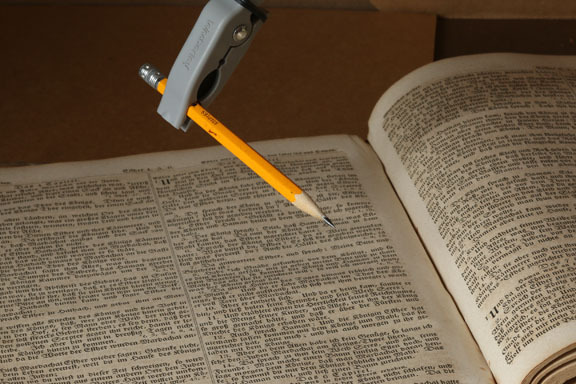 Extension tubes have no glass or other optical components that will degrade the image at all. They simply increase the distance between your existing lens and the camera body which decreases the minimum focusing distance of the lens you are using. With the 85mm f/1.8 Canon lens I used for this post, here is a chart of the minimum focusing distances that I achieved. They are very affordable and can give you good magnification and great working distances with a standard or moderate telephoto lens. Without a doubt by far, the biggest issue with extension tubes is the precision with which they are made to fit properly. I've read quite a few disaster stories of people having their lens and or camera get stuck. The best extension tubes are auto extension tubes, meaning that full auto-focus and aperture control functions perfectly between the lens and the camera. Often, that means you should match the maker of the extension tube to the camera maker. 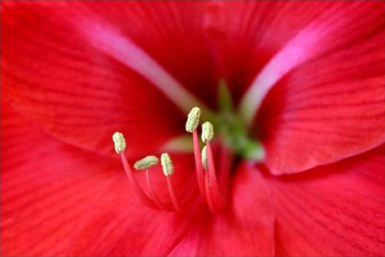 If you shoot with Nikon, you'd use macro extension tubes for Nikon. If you're a Canon shooter, you'll get compatibility with extension tubes for Canon. Have a blast. Keep on clicking!